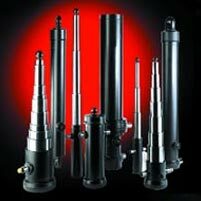 Interpump Group is the world’s largest manufacturer of power take offs and one of the major manufacturer of hydraulic pumps, cylinders and other hydraulic components. 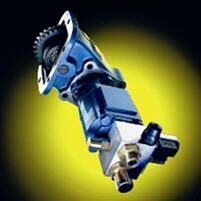 Power take offs are used to transmit power from the engine of an industrial vehicle to the other hydraulic components and are connected to the vehicle’s transmission box. Other hydraulic components manufactured by companies of the Group (Hydraulic pumps, control units, valves, cylinders, tanks) help performing special functions:lifting of dump bodies, operating on-board cranes, operating concrete mixers, etc. Over 55% of the turnover in this sector comes from exports outside the European Community. All companies in this sector have quality systems in compliance with the ISO 9001:2000 norms.